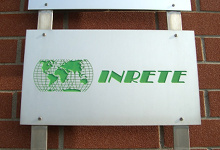 INRETE Srl is a privately held company headquartered in the Torino metropolitan area of Northwestern Italy. Since 1994 INRETE has been serving the largest Italian corporations and government agencies. After pioneering the region's Internet presence as the first Italian ISP in 1994, INRETE concentrated its business on the technical management of Internet operations for large organizations. INRETE services and solutions address the entire process, from installation to management and application maintenance, from hardware to software management.